Made from real Pewter, this keyring (or key chain depending on where you are in the world) is excellent quality and would look great keeping those lost keys all together. A great accessory for Comic book, or Movie Fans. 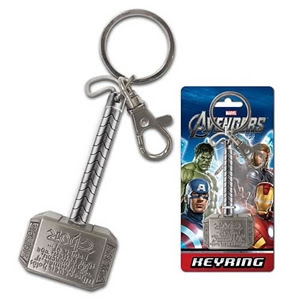 This item is Official Marvel Comics Merchandise. Its a little on the small side and measures approx. 7.6 x 2.5 x 14 cm, we would like it to be the size of the real thing! now that would be cool, but I'm sure only Thor would be able to lift it! Just visit RetroStyler Store on Play.